Changing materials? Don’t change inserts! Just run our inserts at the speeds and feeds on the back of the package for increased productivity AND reduced cutting tool costs. 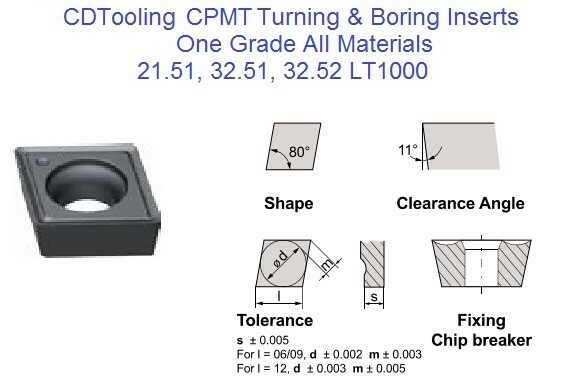 CDTooling Swiss-made inserts feature a unique and highly controlled manufacturing process,specifically designed from the ground up to provide unmatched performance in ALL Materials. 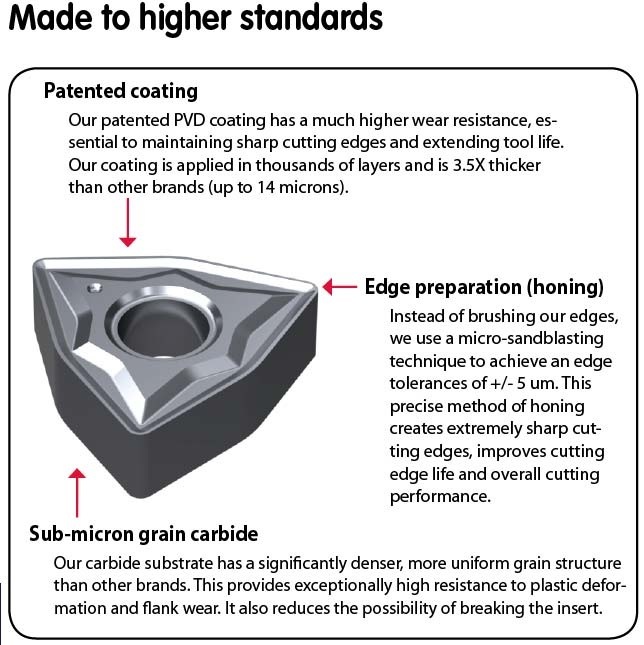 Patented, specially formulated PVD and a highly controlled manufacturing process are the reasons why Techniks LT grade inserts perform well in ALL materials up to 55HRC. 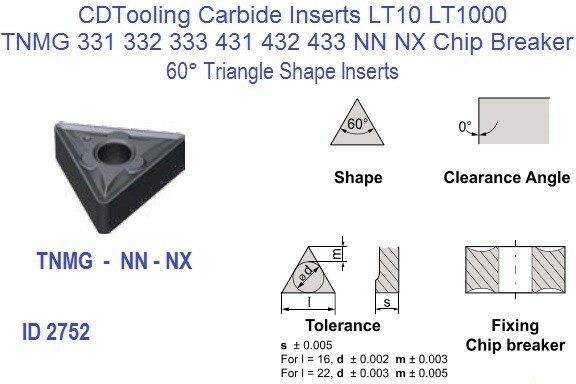 Every step of manufacturing process is optimized, tested, and controlled by a rigid quality assurance process, to produce the highest-quality inserts possible.